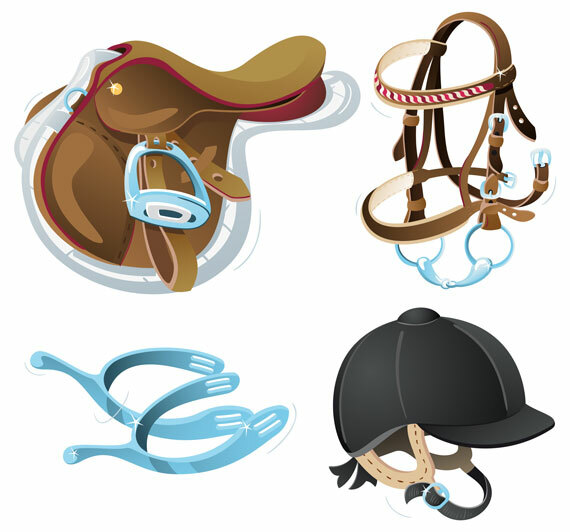 Several vector images of English riding tack are arranged on a white background. The images include a brown English saddle with stirrups, a brown English bridle with English bit, a pair of spurs, and a black riding helmet. Everything needed for a proper riding outing is included.